Frank and John open the show with Donald Cranor out of Gassville, Arkansas. Don runs Cranor's Guide Service. He says if you don’t catch trout when you fish with him, he'll refund 100% of your trip cost! Go to https://whiterivertroutfishing.net. Jeff Peck joins us out of Newport Beach, California. Jeff operates Anglers Center. Since opening their doors in 1958, Anglers Center has been a fixture on the Southern California saltwater fishing scene. Neat web site at https://www.anglerscenter.com. Our final guest for this episode is our buddy Frank Burr with Snowbee USA. Snowbee's aim is to equip the progressive, modern-day angler from head to toe, with affordable, top quality clothing, tackle, and accessories. Great info on Instagram and Facebook or go to https://snowbee-usa.com. 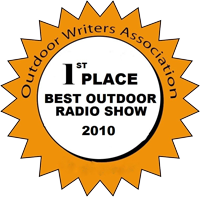 Next we track down Bob Semerau, Western Outdoor News field reporter. We talk about ladder fishing at Pyramid Lake and Bob fills us in on some upcoming charters he'll be leading. Check out all the events sponsored by Western Outdoor News at http//www.wonews.com. John Marriott stops by for a visit. He's the CEO of SoftScience comfort footwear. SoftScience has some new styles on their web site. They're a bit dressier and still super comfortable. Order yours at https://www.softscience.com. We absolutely love our SoftScience Shoes. John Henigin and Frank Selby get us started with a reminder about our fishing trip to Alaska in July. These trips sell out fast so if you'd like to join us, make your reservations soon. Check out https://www.fishtalkradio.com/reel-fun-adventures-in-ketchikan-alaska. We get Patrick Foy on the phone. Patrick is a Captain with the Law Enforcement Division of the California Department of Fish and Wildlife. We talk about the importance of habitat and how to protect wildlife. 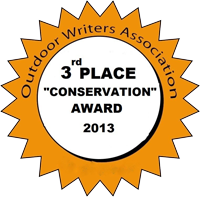 And we cover duck and geese hunting and even sturgeon fishing. Great info at https://wildlife.ca.gov. Our friend Frank Burr from Snowbee USA joins us next. We discuss the success and growth of fly fishing and why it's so much fun. Plus, Snowbee has some very affordable equipment coming out after the first of the year. Keep an eye on their website at https://snowbee-usa.com. We wrap it up with Alan Lande out of Whistler, British Columbia. Alan runs Whistler's Best. Whistler's Best can direct you to a fantastic place to stay and they can get you connected with any winter activity you'd like. Start planning your trip at https://www.whistlersbest.com. Our first guest is Cindy Nobel with Trout Unlimited. 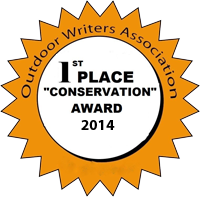 Trout Unlimited devotes its time to community outreach, education related efforts and resource conservation projects. There's a chapter of Trout Ulimited in every state. More info at http://tu.org. Up next its Tom Raftican, President of the Sportfishing Conservancy. The mission of the Sportfishing Conservancy is to empower sportsmen to fulfill and celebrate their commitment to their sport and to real world conservation. Check out their programs at http://sportfishingconservancy.org. We get Bill Shedd on the phone. Bill is the owner and CEO of AFTCO. Every year since 1973, AFTCO and the Shedd family have contributed more than 10% of company profits to help protect our resources and ensure a sustainable fishery for future generations. More details and great clothing at https://aftco.com. Finally, we check in with John Marriott, CEO of SoftScience Footwear. SoftScience is committed to delivering comfortable shoes and functional footwear options for both men and women. All the new styles are on their web site athttps://www.softscience.com. We kick off the show with Joel Cline out of Bishop, California. He's not only an expert angler and guide, he also handmakes custom fishing nets. Joel's Sierra Net Company creates the finest quality nets so there's no way the big one will ever get away. Place your order at www.sierranetco.com. Our final guest for this episode is Mark Sydney from San José, Costa Rica. 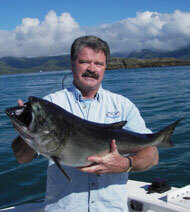 Mark runs Americana Sport Fishing and he gives us a great overview of beautiful Costa Rica. We discuss everything from in shore and off shore fishing to dancing at Castro's Bar. Let Mark put together a trip for you at fishcostarica.com. We get the show rolling with Danny Kadota and Gary Loomis. Danny's involved with H&M Landing out of San Diego. H&M Landing is the West Coast’s oldest, most experienced Sportfishing company. Check out https://www.hmlanding.com. Gary became famous with his G.Loomis fishing rods. His new company is called EDGE RODS. Cool web site at https://edgerods.com. EDGE RODS are the epitome of performance fishing rods. Up next it's Michael Crosier with Galapagos Sport Fishing. If you've ever wanted to take a fishing trip to the Galapagos Islands, Captain Crosier is your man. All the details at https://www.ecuagringo.com. We close it out with our buddy Frank Burr from Snowbee USA. Snowbee offers the very best fly fishing products at an affordable price. Stop by https://snowbee-usa.com and do some Christmas shopping! src="https://www.dropbox.com/s/x36ik6eg55jnt7m/2018-12-08-FT-HOUR-ONE.mp3?dl=1">Your browser does not support the audio element.